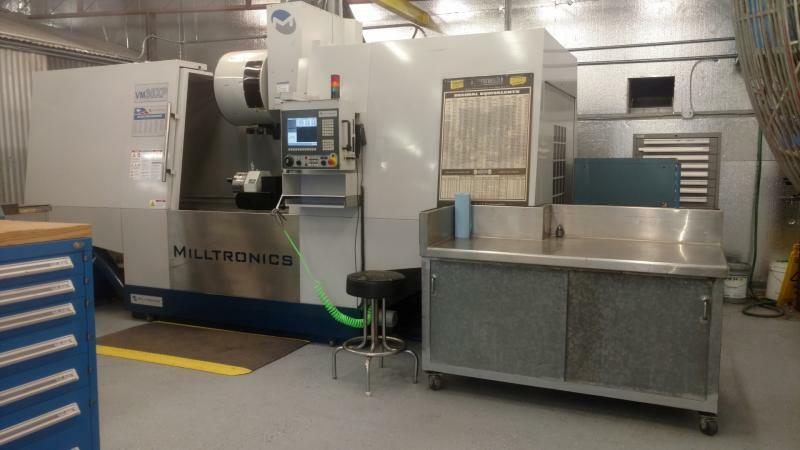 We have currently a total of 7 CNC mills. 5 of them are multi axis (4-5 axis). We have 60" x 30" travel capabilities. 4 axis tables from 5" Diameter up to 16" diameter, and we can space up the rotary axis for larger diameter work as well. 5 axis, we have two 5 axis machines. 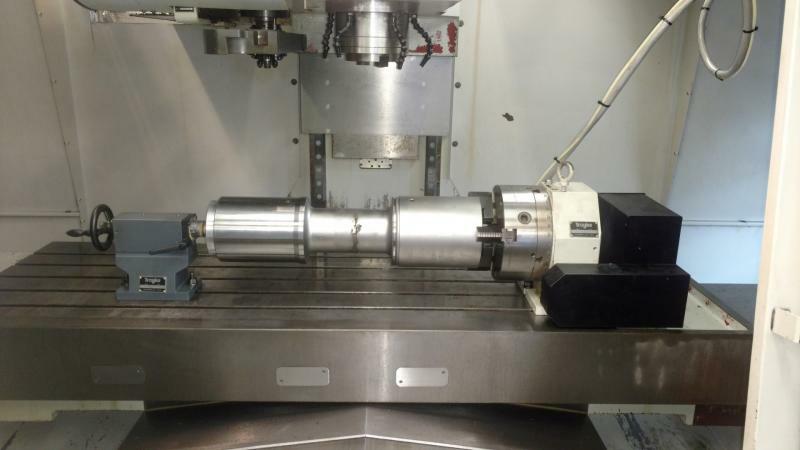 These machines are dedicated 5 axis machines, with the extra height built into the column of the machine to accommodate the extra height needed for the Tsudakoma 5 axis tables. We have full simultaneous control for all 5 axis. One machine has a 6" face plate and the other has a 12" face plate. The 5 axis mills have up to 120 degrees of tilting, and 360 degrees of rotation. 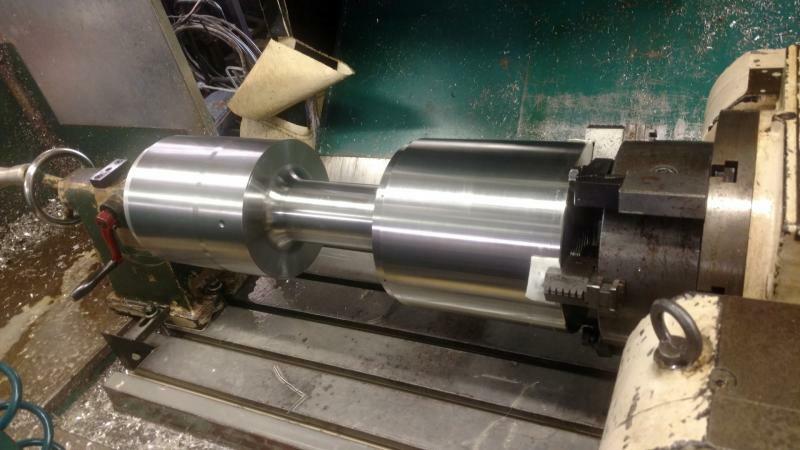 For our CNC lathes we can turn parts up to 25" in length in one setup. We can turn parts up to 12" diameter currently. 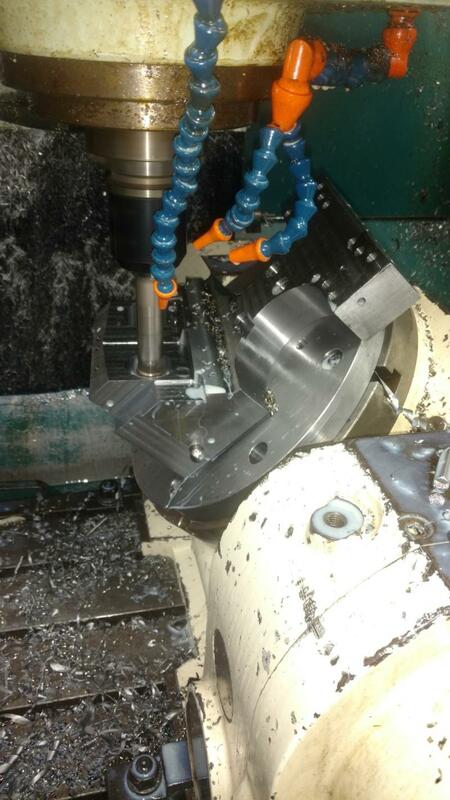 5 Axis compound milling shown here. Single Point External thread milling on a 50+ Rockwell C bolt. Shown here is our 60x30 Milltronics machine with a 8200 control and full 4 axis capabilities. 4 Axis shown here. This part is about 25" long, we single point thread cut 4, 8-32 holes radially around the part. 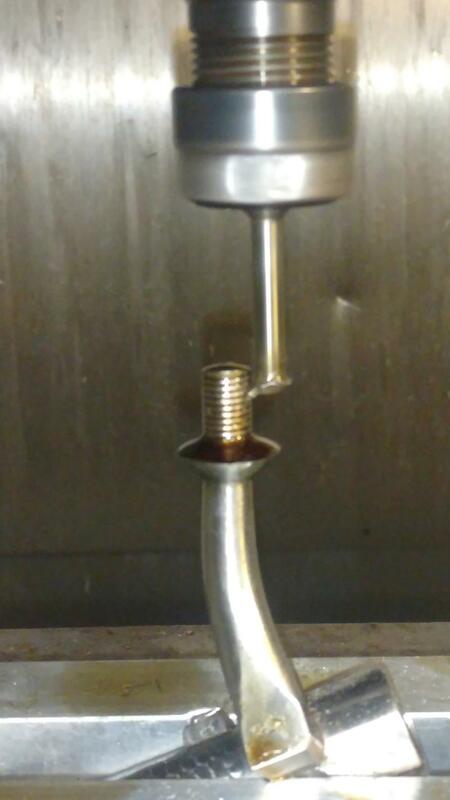 The part was 50+ Rockwell C hardened, therefore conventional tapping was not possible. 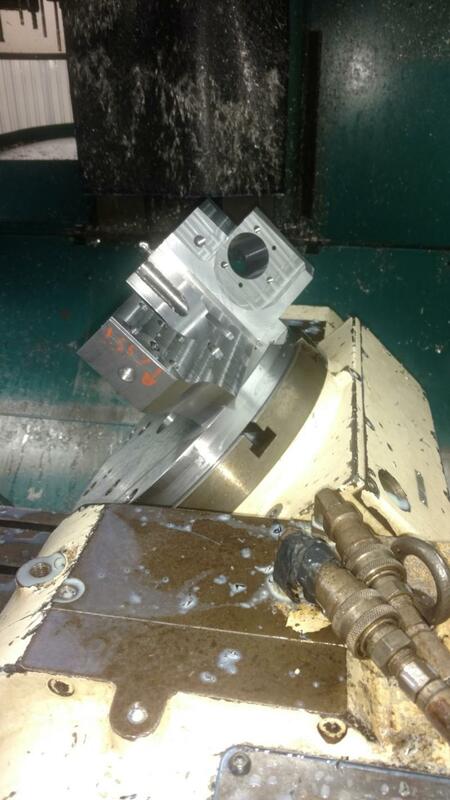 Here is our 5 axis machine being used with a tail stock to single point thread radially 10-32 holes into a 50 RC harndess part. 5 Axis, compound angles being cut here.